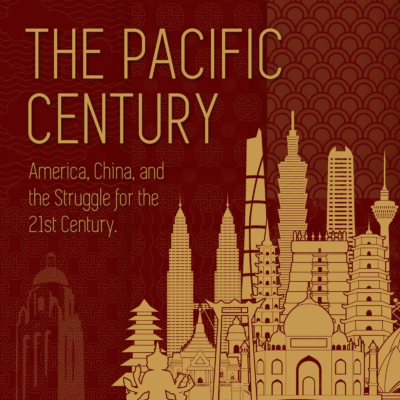 The 21st century may be the Pacific Century, and China appears poised to become America’s greatest rival for global power and influence. Hosts John Yoo and Michael Auslin broadly address developments in China and Asia. They discuss the latest politics, economics, law, and cultural news, with a focus on US policy in the region. As China tests Japan and Taiwan with air and naval challenges, Hoover Institution fellows Michael Auslin and John Yoo discuss why Japan and Taiwan play important roles in the United States’ Pacific strategy, and what measures the Trump administration can take to help their defense/military. They share their thoughts on why Taiwan is worth protecting, and conclude with a few words on the recent Thai elections. Historian Niall Ferguson joins Michael Auslin to discuss whether the United States is entering a new Cold War with China. Ferguson explains the quick change in public and government attitudes toward China and steps that the Trump administration is taking toward Chinese economic and military aggressiveness. Hoover fellows John Yoo and Auslin then discuss the pros and cons of the Cold War analogy, or whether the rise of Germany before WWI is the better comparison. Hoover Institution fellows Michael Auslin and John Yoo discuss two major developments in Asia. First, they explain why the “failure” of the Hanoi summit between President Trump and North Korean leader Kim Jong-un wasn’t a failure at all. They then dissect the details of a proposed trade deal between the United States and China, asking whether policymakers miss the boat when they focus on tariffs and trade deficits instead of the theft of American inventions. Hoover Institution fellows Michael Auslin and John Yoo start their inaugural podcast on China, Asia, and the Pacific Century by discussing the upcoming summit between President Trump and North Korean President Kim Jong-un, trade tensions between the United States and China, the Justice Department’s indictment of Huawei, and Chinese arrest and trials of westerners.